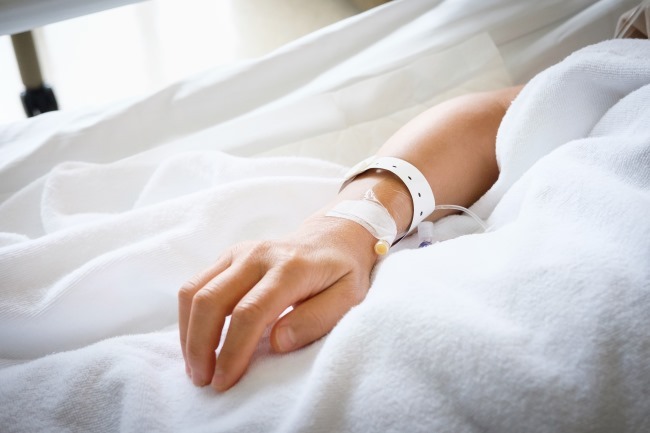 Thromboprophylaxis with rivaroxaban was not found to have benefit in ambulatory patients receiving systemic cancer therapy, according to a study published in the New England Journal of Medicine. The CASSINI trial (ClinicalTrials.gov Identifier: NCT02555878) was a randomized, double-blind, placebo-controlled phase 3b trial that assessed the safety and efficacy of thromboprophylactic rivaroxaban in 841 ambulatory outpatients with a solid tumor or lymphoma. 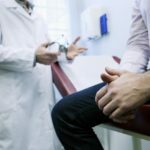 All patients were at high risk for venous thromboembolism (VTE), were scheduled to begin systemic cancer therapy within a week of initiating the trial regimen, and did not have deep vein thrombosis (DVT) at baseline screening. Patients were randomly assigned to receive 10 mg rivaroxaban (420 patients) or placebo (421 patients) once daily for 180 days; patients underwent screening for thrombotic events every 8 weeks. The primary efficacy endpoint was a composite of confirmed DVT, pulmonary embolism, or death due to VTE. The primary safety endpoint was occurrence of major bleeding; 809 patients were eligible for safety analysis. A prespecified analysis of the primary efficacy endpoint during only the intervention period, defined as the time between first and last dose of trial agent plus 2 days, was also conducted. The mean intervention period was 4.3 months, with 43.7% of patients in the rivaroxaban cohort and 50.2% of patients in the placebo cohort discontinuing their respective trial agent prematurely. The mean rate of adherence in the safety population was 98.4% in both cohorts. In the rivaroxaban cohort, 6.0% of patients experienced primary endpoint events, compared with 8.8% of patients in the placebo cohort (hazard ratio [HR], 0.66; P =.10). Fewer deaths were reported in the rivaroxaban cohort (84 vs 100; HR, 0.83). Major bleeding was reported in 2.0% of patients receiving rivaroxaban and in 1.0% of patients receiving placebo (HR, 1.96). The prespecified analysis of the intervention period found that 2.6% of patients receiving rivaroxaban and 6.4% of patients receiving placebo experienced primary endpoint events (HR, 0.40). The authors concluded that the decreased incidence of thrombotic events in patients receiving rivaroxaban was not statistically significant; therefore no thromboprophylactic benefit of rivaroxaban in ambulatory patients with cancer was established. However, the authors noted that their findings “[provided] important information regarding the baseline prevalence and incidence of thromboembolism” in this patient population. Disclosures: Several authors have declared affiliations with the pharmaceutical industry. Please refer to the original study for a full list of disclosures.